With immediate effect, Raman Joshi will head Manitowoc Cranes’ operations in the Greater Asia-Pacific region (which covers much of Asia and Australasia, but excludes China). He takes over as executive vice president of GAP from Gilles Martin, who has left the company to pursue other interests. Joshi will report directly to Eric Etchart, president and general manager of Manitowoc Cranes. His most recent role, which he will continue to occupy in conjunction with the new EVP position, was as vice president of Manitowoc Cranes India. In this role he oversees the company’s factory for Potain tower cranes in Pune, as well as its five sales offices and network of local dealers. Before moving to India, he was marketing director of Asia-Pacific, and prior to that he served as global product manager for Manitowoc crawler cranes, his first role at the company which he assumed in 2006. Eric Etchart said Joshi’s proven experience in the region and his knowledge of Manitowoc in Asia made him the perfect candidate for the position. Joshi will continue to be based in India, but will also spend much of his time at Manitowoc’s regional headquarters in Singapore. He said he was looking forward to working with a broader customer base across the region. Prior to joining Manitowoc, Joshi worked for Japanese bearing manufacturer NSK Ltd, latterly as sales and marketing manager for the company’s U.S. operations. 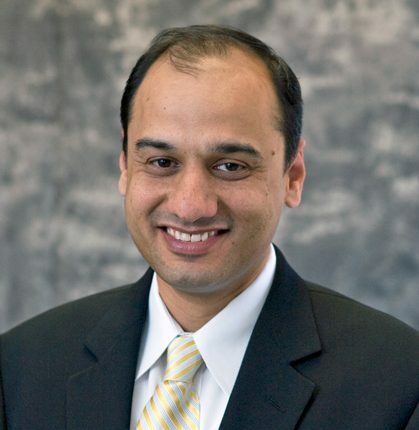 He is fluent in Japanese and Hindi and has an MBA from University of Michigan, Ann Arbor in the United States.